I ordered my latest iherb order on Good Friday and it arrived on Tuesday morning! All the way to New Zealand. 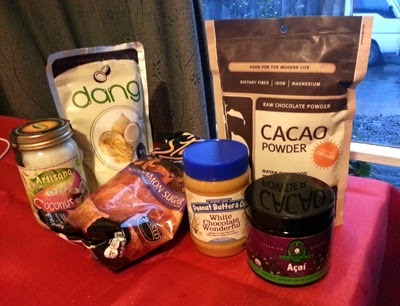 I have tried all but the cacao powder. So I will have a few blog posts over the next week reviewing some of my purchases. Looking forward to another long weekend starting tomorrow for ANZAC day.